Intrusion Alarms are Designed to Keep Your Facility Both Safe and Secure. We offer multiple business security systems that can be tailored to meet your specific facility requirements. Our systems are monitored at our UL Listed Local Central Security Station, located in Monroe, LA. This particular station has been monitoring security for over 25 years. Here at AST, we use wireless or network security technology and offer very affordable wireless system equipment, installation, and monitoring services. Choosing a security company is a big decision – choose Local and choose AST, where we also provide 24/7, round-the-clock monitoring. We service and install the Alarm.com, access smart door locks and energy saving thermostat – all as part of our Smart Security package. 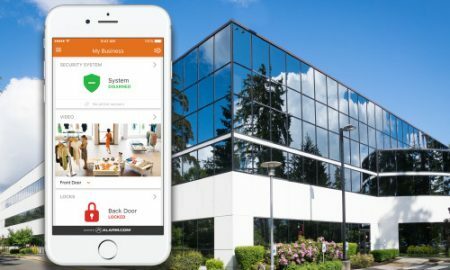 You deserve remote access, protection and facility management – all from your phone.